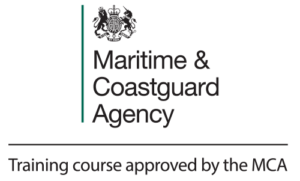 Our MCA Approved course is based on the MNTB’s criteria for HELM Operational and Management Levels First Edition Sept 2012. The candidates will learn how to use managerial skills to control the operation of the ship and care for persons on board at the management level. The HELM (M) Management training course will entail components made up of case studies, role play, scenarios, simulation and team exercises. Candidates will be assessed throughout the course as well as assessed on the final day to ensure they meet the competency required for the level of training received. Candidates shall hold a deck or engineering certificate of competency at the operational level and meet the minimum seagoing service requirements for the issue of a management level CoC. The class size is limited to twelve people due to our opinion that training is optimised when there are twelve people or less in the class, per instructor. ECDIS Ltd welcomes trainees that meet the entry criteria, regardless of background, culture or religion. We advocate that trainees with a variety of different backgrounds, experience, attitudes and values will enhance the course and allows the trainee to contribute to the learning experience. Trainees are therefore encouraged to arrive keen to learn and willing to offer their opinions and experience for the betterment of the course. Instructors and assessors are required to be qualified in accordance with the requirements of Regulation I/6 STCW. All of our trainers are mariners and highly experienced in the practical use of leadership and management, having pushed themselves to their personal limits at sea.